Chargeback Protection - What are Your Options? It doesn't matter whether you choose to fight them or pretend they don't exist: chargebacks are a huge drain of time and energy. 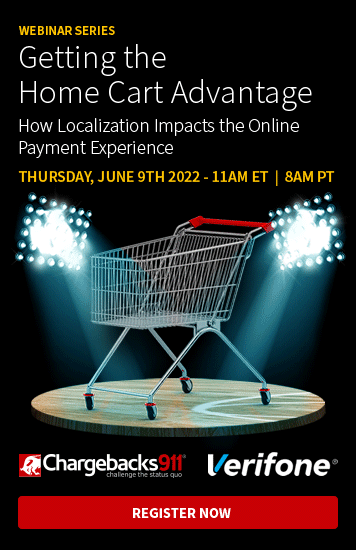 They cost card-not-present (CNP) merchants $31 billion every year. Of course, it's possible to dispute chargebacks. But if "an ounce of prevention is worth a pound of cure," isn't chargeback protection a better option? Sure...at least in theory. But the reality is a lot more complicated than that. Does True Chargeback Protection Exist? 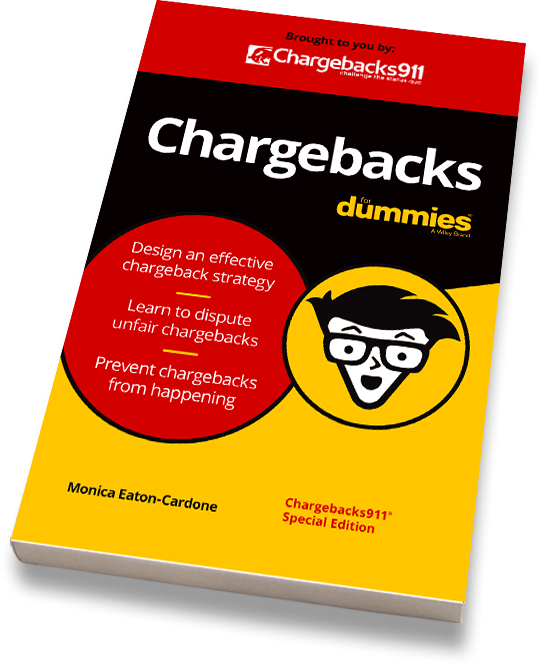 Is there any guaranteed, 100% fail-proof method of chargeback protection? As of now, it is impossible to ensure 100% prevention of chargebacks. However, you can substantially reduce your risk, decrease revenue loss, and protect your bottom line. In fact, not only is it possible...it's essential. You must create a long-term, proactive risk mitigation plan to ensure sustainability. Chargebacks911® specializes in helping merchants get as close to absolute protection as possible, but before we go into that, let's take a closer look at how chargebacks work. Why Can’t Merchants Prevent All Chargebacks? 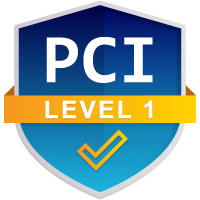 Criminal Fraud (1-10%), Friendly Fraud (50-80%), or Merchant Error (20-40%). Luckily, the risk of criminal chargebacks can largely be controlled. The same is true of chargebacks caused by merchant errors. Chargebacks911 helps merchants around the world virtually eliminate chargebacks originating from these sources. The third source, however, is the reason merchants are unable to ensure absolute chargeback protection. This so-called "friendly fraud" is based on unethical and illogical consumer behavior, and there's simply no way to anticipate and remedy every instance of that. Each chargeback source requires a unique prevention strategy, but traditional approaches to chargeback prevention have been largely ineffective. The only true path to chargeback protection is to identify and address chargebacks at their source. Only a multi-layered strategy will remain viable over the long-term. For example, most merchants have at least some fraud controls in place designed to target general criminal fraud. The problem: these controls are usually performed at the check-out stage which, in many cases, this creates a longer and more complex process for the consumer. Overbearing front-end fraud controls can cause more problems than they correct. From false positives to card abandonment, the solution for fighting criminal fraud can be more expensive than the problem if not handled properly. There are similar issues involved with combatting chargebacks caused by merchant error. No one wants to think their system has holes, but when it comes to chargebacks, seemingly minor errors and oversights can lead to substantial profit loss. Here, the danger is "out of sight, out of mind;" once a policy or procedure is in place, merchants can easily overlook details guaranteed to cause chargebacks. Friendly fraud is a whole other dilemma—one that requires a long-term approach. Often, the only friendly fraud chargeback protection available is to establish a reputation for fighting back. Confused yet? If so, you're not alone. 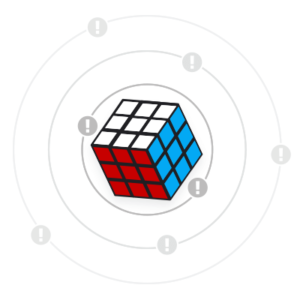 The entire chargeback management process is complex and constantly evolving. There are always going to be aspects of running a business where the merchant is better off seeking specialized assistance. That's where we come in. No product or process available today can provide more chargeback protection than Chargebacks911. Chargebacks911 is the original end-to-end chargeback management and risk mitigation service. We succeed by preventing chargebacks, as well as disputing illegitimate chargebacks that never should have been approved in the first place. This dual-layer management replaces reactive efforts with a proactive strategy, producing higher win rates and guaranteed ROI. Our patent-pending Intelligent Source Detection™ analyzes each chargeback to determine what really caused the transaction dispute. This way, we're managing chargebacks at their source, not relying on ambiguous reason codes. Other fraud and chargeback management companies automate their strategies with standard solutions. Chargebacks911 expertly combines machine learning with human forensics. We work with our clients to refine fraud strategies, ensure unauthorized transactions are prevented, and intercept false positives. Additionally, Chargebacks911 offers the broadest chargeback alert network on the market today. These alerts dramatically reduce the risk of transaction disputes turning into actual chargebacks. You may not realize how certain practices, policies, and operations negatively impact your chargeback rates. Simple, unintentional errors can automatically lead to chargebacks, leaving you totally unaware of the issue at the root of the problem. Fortunately, finding and correcting these missteps is something Chargebacks911 does best. Our Merchant Compliance Review offers an unbiased and objective evaluation to identify potential chargeback triggers. With our help, clients can virtually eliminate the threat of chargebacks caused by merchant errors or criminal activity. It's impossible to completely eradicate friendly fraud...but it is possible to mitigate risk. The only effective way to reduce friendly fraud—and ensure long-term results—is to strategically dispute illegitimate chargebacks when they're issued. Each chargeback dispute conveys a powerful message to the issuing bank. It restores your innocence and improves your relationship with that issuer. Merchants cleared of any perceived guilt are subjected to fewer friendly fraud chargebacks. Banks and card schemes pay more attention on your behalf, simply because you have the reputation of fighting back when appropriate. Chargebacks911’s Tactical Chargeback Representments are the elite solution for online merchants. We use strategies that actually increase customer loyalty while identifying more representment opportunities and providing maximum reputation enhancement. We recapture substantially more merchant revenue than any other chargeback solution. Chargebacks911 proves that winning chargeback disputes doesn't mean losing valuable customers. It is unfortunate, but no solution can guarantee 100% protection against chargebacks. With Chargebacks911, however, you’ll receive as close to 100% as possible. Chargebacks911 is the only service provider to offer solutions for all three types of chargebacks. We have the experience, expertise and technology to deliver the protection you need, when you need it most. Don’t go another minute without chargeback protection. Contact Chargebacks911 today and ask for a free ROI analysis.